Has anyone ever considered this about Rhaegar? Everyone assumes Azor Ahai story talks about a hero killing his wife to make a sword. It is in fact about a guy losing his wife giving birth to a “dragon”(a metaphorical dragon ofcourse) . From these two it can be assumed that the advent of the dragons had something to do with the long night’s end and timewise it does make sense. According to the world of ice and fire the long night ended almost exactly before the rise of Valyria. Now the interesting part in handmaids’ conversation is that “Moon is no goddess, moon is a woman wife of sun!” Doreah mentions this and the rest of handmaids confirm this is known. This statement results in the prophecy being about a man and woman giving birth to a dragon. And I think this is the prophecy Rhaegar read in the old scripts. "You saw my brother Rhaegar wed. Tell me, did he wed for love or duty?" The old knight hesitated. "Princess Elia was a good woman, Your Grace. She was kind and clever, with a gentle heart and a sweet wit. I know the prince was very fond of her." Aerys was against the marriage and Rhaegar did not exactly love her and the only mention of her in the books is about her having health problems. It seems Rhaegar just married her for the prophecy to be fulfilled. Thirty years later, Bael was King-Beyond-the-Wall and led the wildlings' army south, and he had to fight his own son at the Frozen Ford. There, incapable of killing his own blood, he let himself be killed by Lord Stark. His son brought back Bael's head to Winterfell, and his mother who had loved the bard, seeing the trophy, killed herself by leaping from the top of a tower. 1. He was a skilled Harp player and singer. 3. He secretly and rapidly seduced a Stark daughter with whom he disappeared. 4. She reappeared a year later with his son. 5. Many years after that, he became King beyond the Wall. 6. He eventually gathered a great host and confronted his half-Stark son (the primary leader of the opposing forces) on a frozen battlefield. 7. They met face-to-face, and Bael found himself unable to kill his son. 8. His son, instead, kills him. There are numerous bits in both the books and the movie that associate Lyanna Stark with the blue rose. Hence, it is very safe to assume if there is a winter rose it would be Lynna. This would make Rhaegar Bael the Bard! This story is important since it is not only talking about the past it is also a prophecy about what will happen later on. Rhaegar happens to fill every description in this story. 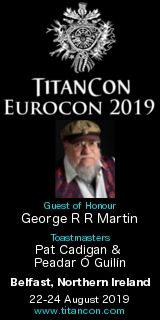 Based on Ser Barirstan he was one of the best harpists and singers in Westeros. He stole rose of Winterfell and disappeared and she reappeared with a son almost a year later. This might not be as important but whenever ser Barristan wants to describe him he starts with” Rhaegar was ABLE” and we know GRRM likes this kind of word play (refer to Barristan introducing himself Arstan and BEAL becoming ABLE for Mance…) From now on the story seems to foretell what’s to come. The real king beyond the wall is the night king and based on this story Rhaegar has somehow turned into him (another strange fact about Rhaegar is his corpse is almost the only corpse in the story that seems to be missing without a purpose and the other fact of emphasizing on the Rubies he was wearing at the Ruby ford and ruby being the gem used for disguise both by Mance and Melisandre) . We even have had a couple of scenes in the movie where night king saw Jon and did not attempt to go for the kill. If these assumptions are correct it seems the end game will be Jon Snow killing the night King. said Salladhor Saan, "and be glad of that, my friend. Do you know the tale of the forging of Lightbringer? I shall tell it to you. It was a time when darkness lay heavy on the world. To oppose it, the hero must have a hero's blade, oh, like none that had ever been. And so for thirty days and thirty nights Azor Ahai labored sleepless in the temple, forging a blade in the sacred fires. Heat and hammer and fold, heat and hammer and fold, oh, yes, until the sword was done. Yet when he plunged it into water to temper the steel it burst asunder. Being a hero, it was not for him to shrug and go in search of excellent grapes such as these, so again he began. The second time it took him fifty days and fifty nights, and this sword seemed even finer than the first. Azor Ahai captured a lion, to temper the blade by plunging it through the beast's red heart, but once more the steel shattered and split. Great was his woe and great was his sorrow then, for he knew what he must do. Being a hero, it was not for him to shrug and go in search of excellent grapes such as these, so again he began. The second time it took him fifty days and fifty nights, and this sword seemed even finer than the first. Azor Ahai captured a lion, to temper the blade by plunging it through the beast's red heart, but once more the steel shattered and split. Great was his woe and great was his sorrow then, for he knew what he must do. A hundred days and a hundred nights he labored on the third blade, and as it glowed white-hot in the sacred fires, he summoned his wife. 'Nissa Nissa,' he said to her, for that was her name, 'bare your breast, and know that I love you best of all that is in this world.' She did this thing, why I cannot say, and Azor Ahai thrust the smoking sword through her living heart. It is said that her cry of anguish and ecstasy left a crack across the face of the moon, but her blood and her soul and her strength and her courage all went into the steel. Such is the tale of the forging of Lightbringer, the Red Sword of Heroes.